A march, balloon launches and and interactive fair were the main events organized by a group of institutions led by the Unir foundation. 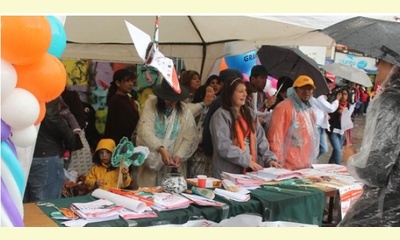 The events unfolded on the traditional boulevard of El Prado in La Paz, highlighted by the presence of Fe y Alegría and its educational units. September 21 is celebrated as the "International Peace Day" declared in 2001 by the General Assembly of the United Nations both to commemorate and strengthen the ideals of peace in every nation and to observe a day of cease-fire and non-violence. In Bolivia, supported by a National Steering Committee for six departments, the agenda was consolidated over seventy activities being developed from August until the first half of October. This year's celebration took place in in Chuquisaca, Cochabamba, El Alto, La Paz, Santa Cruz and Tarija. This year the effort was joined by 51 institutions, including the government, municipalities, universities, schools, colleges, NGOs and international cooperation, public entities and municipal self- government, the Vice Ministry of Decolonization and the Task Force to Combat Violence. 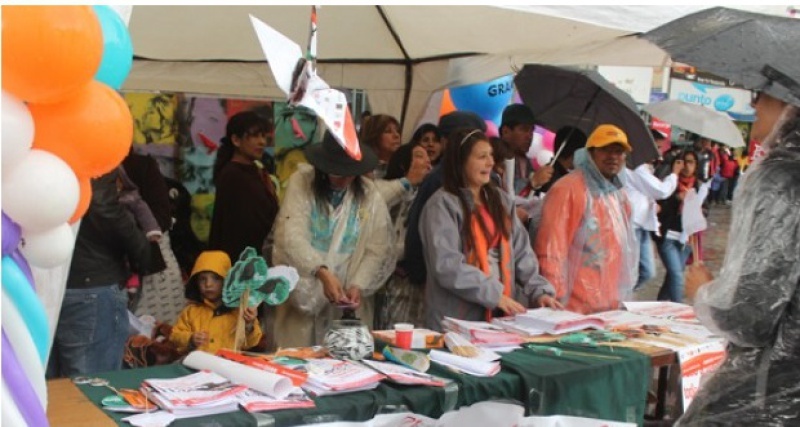 On Sunday the 21st in the plaza Ana Maria Romero de Campero peace brigades of the Fe y Alegría schools made ​​their first homage, followed by the "Walk for Peace" accompanied by celebrities, institutions, students and parents of the Education Unit San Antonio of Fe y Alegría. At the fair of El Prado sponsoring institutions presented their culture of peace initiatives, including route maps for Peace imparting shared values ​​and mobile routes of the macro-districts of the city. Three municipalities were protagonists in the celebration, La Paz, Sucre and Tarija. In past efforts (2012 and 2013) they instituted laws and municipal ordinances declaring Municipal Peace Day on 21 September.